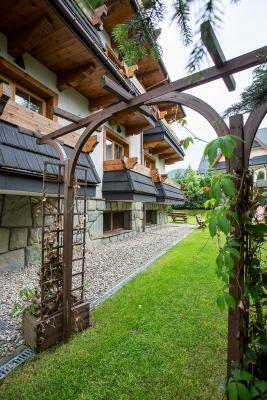 Lock in a great price for Hotel Skalny – rated 8.7 by recent guests! Great breakfast! Nice wellness, comfortable room..
We stayed in Skalny 4 night. Hotel Skalny have very large and clean rooms, allso have a nice spa. Very tasty breakfast, se loved it. Staff was friendly and there was no problem that we arrived verry late after 1:00 at night. Location of the hotel was a bit away from the city centre but we had a car, so there was no problem for us. Anyway, we were very happy with accomodation and we would recommend this hotel. Delicious breakfast , clean room , beautiful mountain view from the balcony. Highly recommended for all people. Very friendly staff, swimming pool and spa , very good. Staff dealing with our request was helpfull and attentive. The hotel is located in the walking distance to the city center and cable car. The room has a balcony with the mountains view. The breakfast was very good as well as the wellness area. Breakfast and ratownik were the best. Everything was cool because we were cool. Hotel Skalny This rating is a reflection of how the property compares to the industry standard when it comes to price, facilities and services available. It's based on a self-evaluation by the property. Use this rating to help choose your stay! 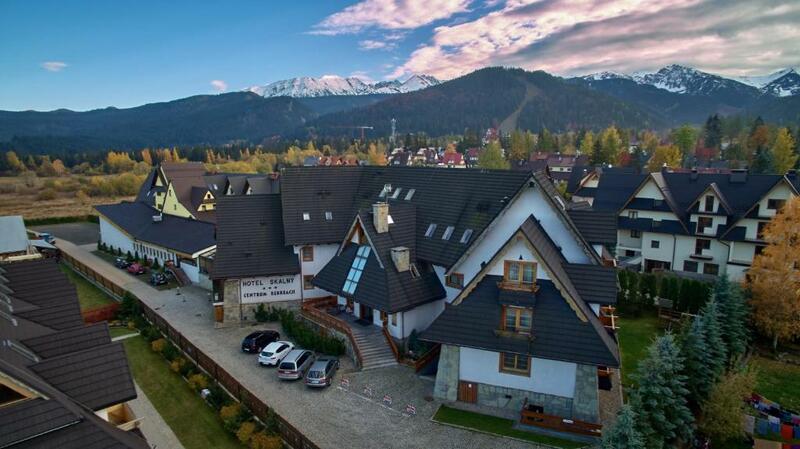 Set in a tranquil part of Zakopane, Hotel Skalny offers a variety of leisure facilities. The rooms feature free Wi-Fi and satellite TV. The price of all rooms includes access to the hotel’s indoor swimming pool, hot tub and a sauna. The hotel also features a squash court and a billiards room. Hotel Skalny has an air-conditioned restaurant with a fireplace. Guests are also welcome to visit the hotel café and have a drink at the bar. When would you like to stay at Hotel Skalny? A spacious room done in warm pastel colors with wall-to-wall carpeting. A classic hotel room with free Wi-Fi. House Rules Hotel Skalny takes special requests – add in the next step! One child under 12 years is charged PLN 79 per night when using existing beds. Hotel Skalny accepts these cards and reserves the right to temporarily hold an amount prior to arrival. Mostly nonveg menu at restaurant. Cozy attic room with sky view. All in The hotel was THE BEST!!!! The pool and hot tub were a nice relaxation. This was the 4th time we selected Hotel Skalny for our stay in Zakopane. Unfortunately, it was probably our last one in this hotel. The amount of noise in the evening, and even after 22:00 was just more than we could accept. Private CD player being used in common areas in the 2nd floor, adult people "speaking" as if they were in a football match or better said a at disco bar. This negates all the good things that work well at the hotel. The rooms are rather old. The receptionist propably had a bad day on our arrival date.